Listed below are the dates venues and times for our U13 Summer Development Coaching Schedule for both Hurling and Football. 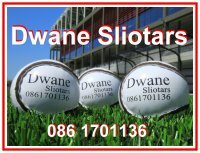 We will be running Hurling and Football sessions throughout the Summer . We will be doing coaching and games at these sessions. It will allow us to get to know the players better and hopefully the players will improve through coaching and games. There seems to be a serious shortage of games for the rest of the year for Boys at this age. We would hope that these sessions can keep boys interested and sharp throughout the summer. If a club has a match on the same day, the players are not to attend the session. It is important for the club mentors to speak to us about any issues that may arise. All players born on the age are invited to attend. If you have any questions please feel free to contact the GDA in your area. 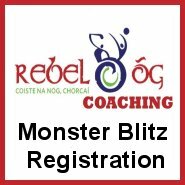 GDA’s along with Rebel Og Coaches will be running U13 Games and Coaching sessions throughout the next 3 months. The open sessions are for all boys born in 2006 only. It is important to fill in the registration form with all players in your club so that they can be contacted about these sessions.